Pernod Ricard has relaunched Lamb’s Spiced Rum with a new bottle design in a bid to position it as the ‘go-to’ spiced rum in bars . Signature Pubs’ newest venture is ready for its first summer . Customers look for quality so make sure your offer doesn’t fall short . 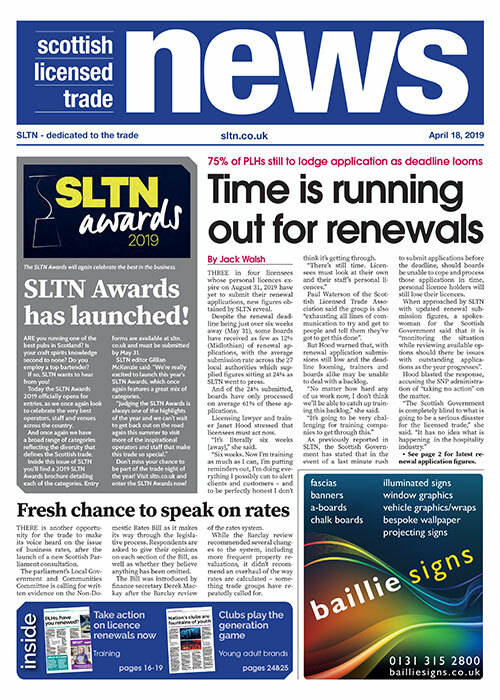 SLTN Award-winning venue is looking ahead to a busy summer season . The growing thirst for non-alcoholic drinks is said to be behind Accolade Wines’ decision to release a new alcohol-free white wine . Botanitcals and fruit essences take centre stage in a new lower ABV and low-calorie spirit from Diageo Reserve . Franklin & Sons has appointed a trio of ambassadors to lead its new initiative, Taste Collective . Wines from around the world were unveiled at Inverarity Morton's annual portfolio tasting in Edinburgh . Double-digit growth for Merlot as nation’s wine trends unveiled .